Hurricane Ingrid was a strong Category 1 hurricane which struck eastern Mexico at the same time another storm struck the western parts. The storm claimed the lives of 32 people in Mexico. The winds of Ingrid reached 85 miles per hour (137 km/h) at its peak. 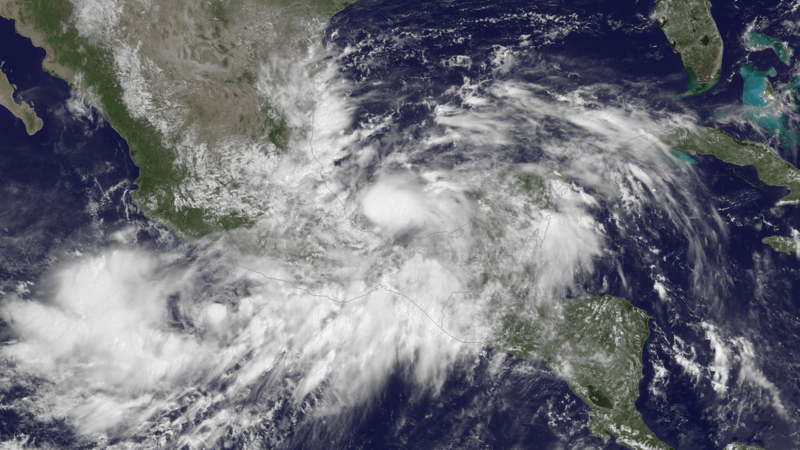 The storm, however, weakened before heading into Mexico as a severe tropical storm in September 2013. The name Ingrid was later retired. It was replaced with Imelda for 2019. Hurricane Ingrid Facts for Kids. Kiddle Encyclopedia.